Absolute Process Instruments is a diverse designer and manufacturer of a wide variety of standard and custom electronic products including signal conditioners, isolators, frequency converters, splitters, trip alarms, math modules, etc. API also has the capability to provide customized products through its in-house engineering and PC board production capabilities. 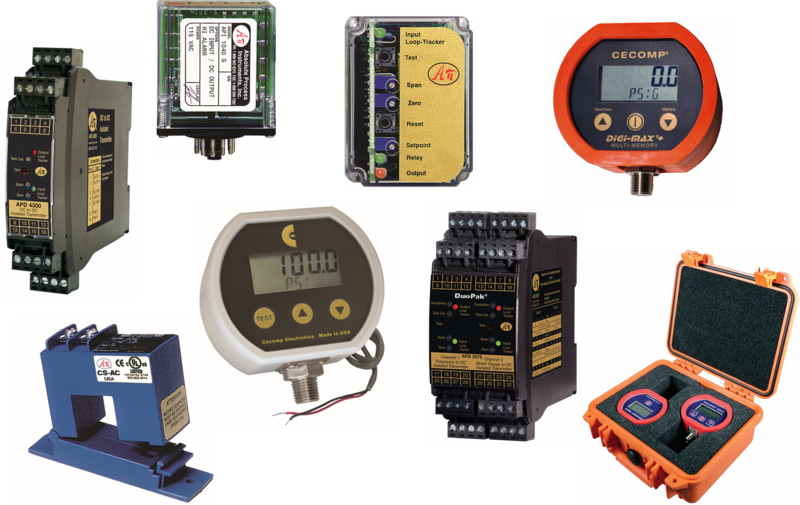 The Cecomp Electronics Division specializes in battery powered digital pressure/vacuum gauges and transmitters. Cecomp offers a wide variety of options including min/max recording, high accuracy, intrinsically safe, ruggedized protective covers and a huge pressure range selection. These gauges are perfect for replacing old style mechanical pressure gauges in both permanent and portable test applications. All API/Cecomp products are made in the USA. For more information, visit the API website. To purchase API and Cecomp products directly, please visit our online store or fill out the contact form below.